Scientific consultation offered at Oncquest Laboratories involves expert opinions from highly qualified & experienced scientists in various specialties. We offer consultation regarding most suitable specimen and/or methodology for testing particular parameters, result interpretation and optimal quantity of sample to perform the required test. Oncquest has the technical expertise to validate and offer assays on Chemiluminescence, ELISA, Biochemistry, IHC & Haematology platforms. Further, we can develop assays on demand using the range of technological platforms such as gene sequencing, RQ-PCR, RT-PCR, PCR, FISH and flow cytometry. Oncquest offers biomarker identification and assay development specific to the protocol requirements. To ensure the clinical trial study is error free, we always offer to be involved in discussions with the sponsor/ CRO during the time of protocol development. Oncquest has one of the widest testing portfolios in the diagnostic industry especially in exploratory & end-point biomarkers, genomic services & histology. Our ten years of molecular testing experience & accomplishments has enabled us to adapt to market trends & customer requirements and hence have been able to develop tests based on the protocol requirements. Our encouraging team & flexible organizational structure equips us to evaluate exploratory biomarkers. 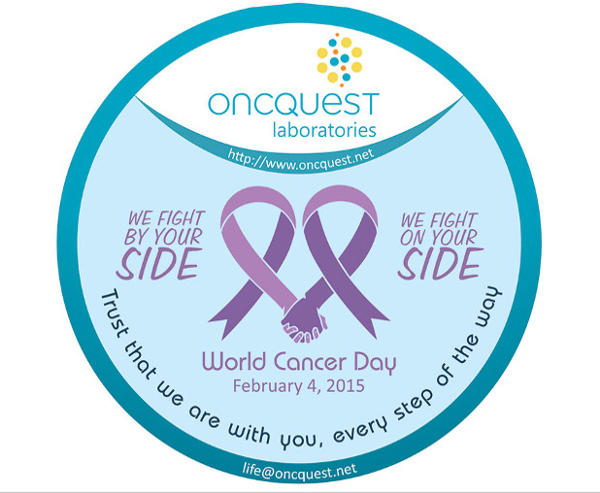 We develop & validate biomarkers based on wide range of technologies possessed by Oncquest. We have launched many molecular tests in Indian market. Oncquest believes that effective communication channel is the key for smooth functioning of the trial. Therefore, we ensure availability of our Customer care and Technical Staff around the clock to resolve any query or issues on a real-time basis. Projects are handled by professionally qualified & experienced team. Project Management team is involved from the initial stage of the project, i.e. in the project discussion with the sponsor/ CRO team to provide the updates, solutions to the queries, inform the milestones or discuss the roadblocks, participate & arrange review meetings, discussion over teleconferencing, laboratory visits & update reports throughout the study and even after if required. Project management team proactively plans the complete project from central laboratory perspective & works on deliverables to be provided within specific timeframe including project rescue plan. Oncquest provides customised services at every step, i.e. designing kits, laboratory manual, Test Requisition Forms (TRF) and test reports highlighting major inclusion/ exclusion criteria. Our flexible approach allows us to work with your ease & deadlines, without compromising our quality. Dummy runs are conducted before initiation of the study to ensure the robustness of the whole system. We provide training to the on-site personnel involved in sample collection & shipment at the time of Site Initiation Visit (SIV) to minimize the pre-analytical errors and thereby ensure quality results to the sponsor. Oncquest offers archival of reports till the end of study & its transfer in hard copy/ soft copy at the end of the project. Oncquest also provides bio-banking facility for archival of samples at required temperature for the contracted time duration. Bar-coded sample tracking is followed. Based on the statistical evaluation of the above, improvements plans are drawn for the next term/ year and efforts are made to achieve the same. Oncquest offers Pan India operations, with direct access to more than 85 locations. Oncquest has the capacity to develop logistics support for all Indian & Global sites. Customised Kit Supplies– Visit specific kits avoid the chances of missing out on any sample to be collected for particular visit. Kit preparation is designed to collect required quantity of samples in minimal possible vacutainers. Packaging & Transportation– Oncquest adheres to IATA & IACO sample packaging & transportation guidelines. Sample Pick up Services– ingle point contact is provided to avoid delays in pick up, loss of sample & miscommunication throughout the project lifecycle. Based on the abundant experience & site information, Oncquest collects sample from study sites with best care. Sample Transit– Oncquest has corporate tie-up with leading carrier/cargo companies experienced in shipment of clinical trial samples. Oncquest ensures receipt of samples at central laboratory facility within scientifically guided time frame by maintaining chain of custody and integrity of samples. Temperature Solution– Oncquest provides corrugated boxes for cost effective temperature controlled shipment during transit from the sites/location.